Hi guys!! 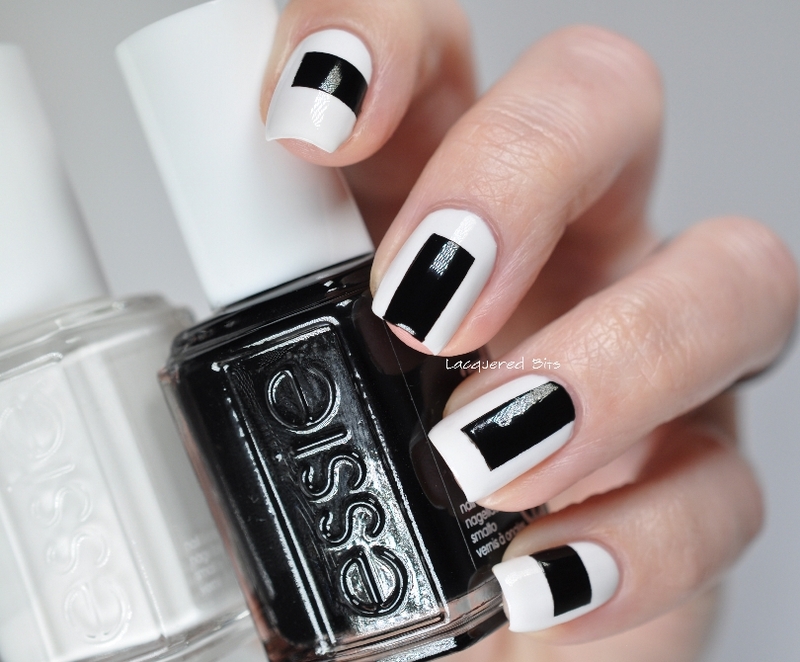 I have a simple black & white manicure today, it’s elegant, sophisticated and it makes me feel like my nails are million dollar worth :). I don’t know what it is about this combination, but it really feels rich. 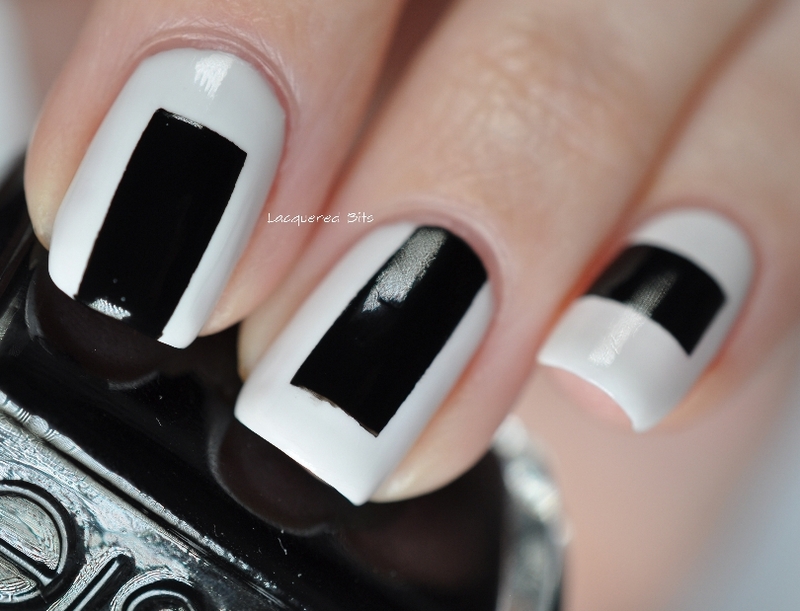 Every nail is a bit different to keep it interesting, but the theme is the same with all. 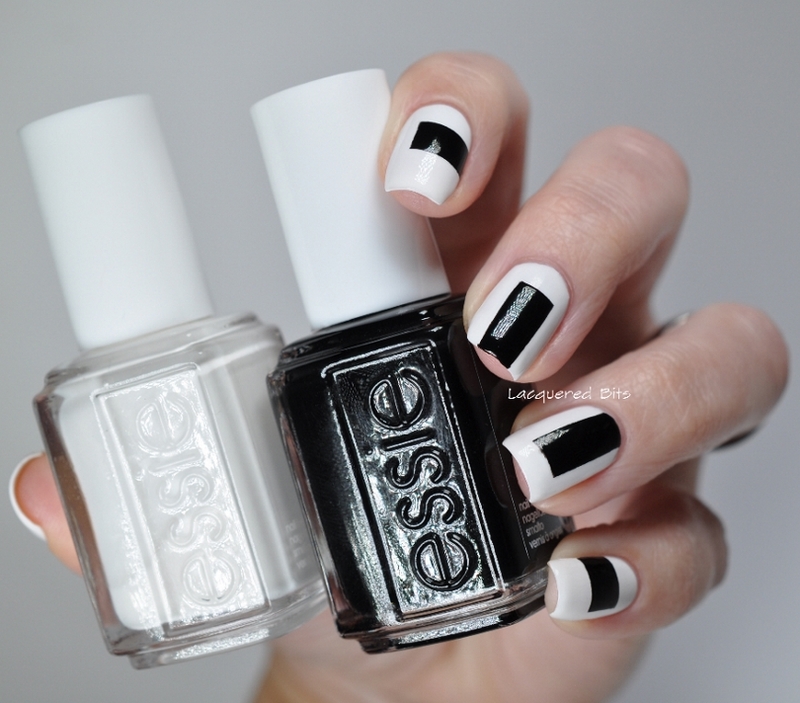 First I applied two layers of Essie – Blanc. It’s a great clean white polish, perfect as a blank canvas. I applied one coat of Essie – Good To Go over it to make it dry fast. After 20 minutes I placed the line stickers in a way to create all the black rectangles. 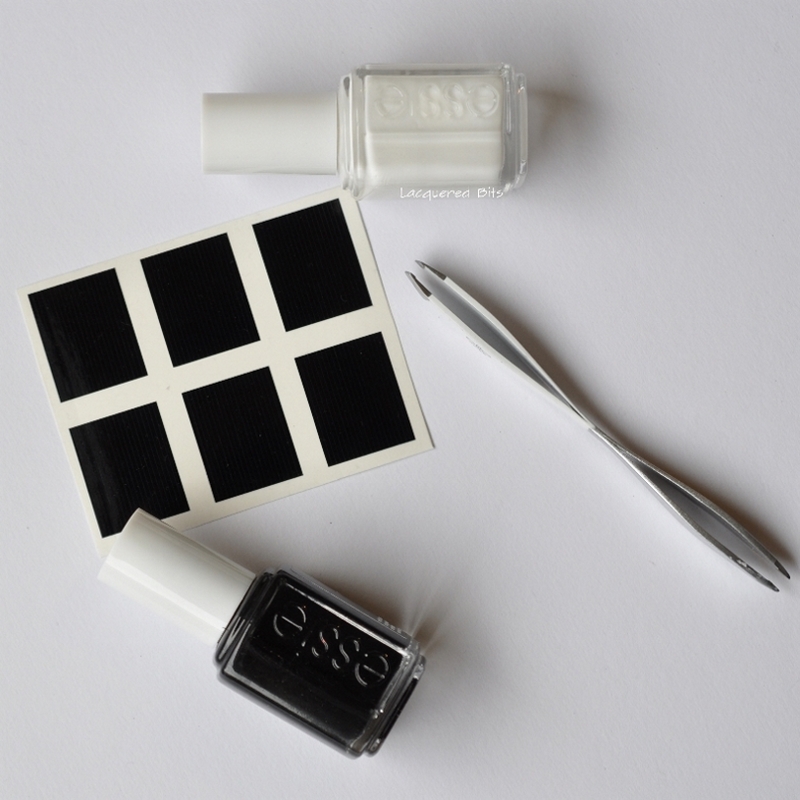 For the black I used Essie – Licorice. My thumb is a combination of all the other four shapes and it is also my favourite of the bunch. As you see I made a lot of photos, because this mani was soo photogenic. I really liked taking photos of it. What do you think? Have you made anything black & white yourselves and what was it?